The game should work great in the browser whether downloaded or not! 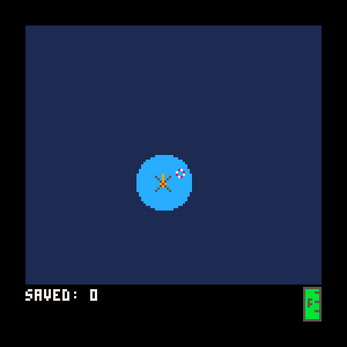 Download the ZIP and put both files in the same folder, then double-click on 'recovery.html'. It should open like a normal webpage. 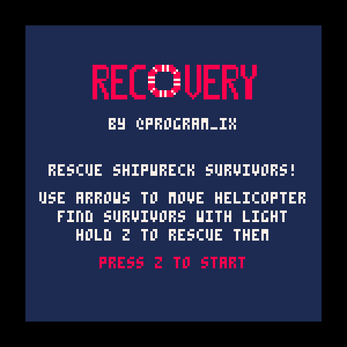 If you have PICO-8 and want to check out the game's code/etc. 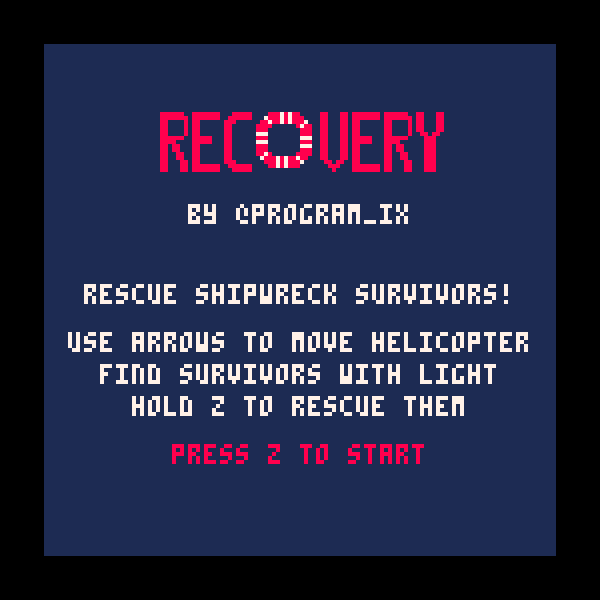 or just play it in the 'real thing', download either recovery.p8 or recovery.p8.png to your pico-8/carts directory, then load from within the game with 'load recovery'.